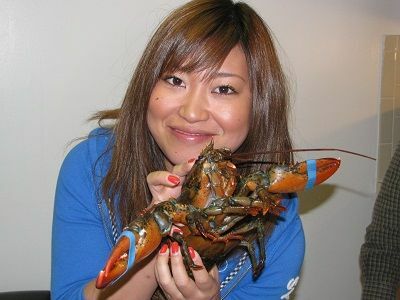 Look out for lobsters! They come out of nowhere! Back by popular demand for the second year, Lobster Fest is becoming a great end-of-summer tradition for our friends in Boston. 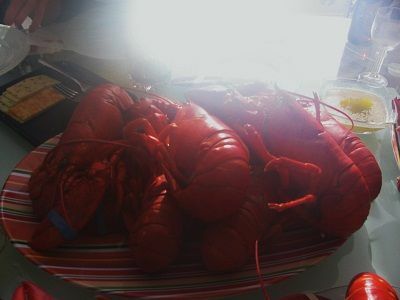 Summer time is Lobster Fest Time. 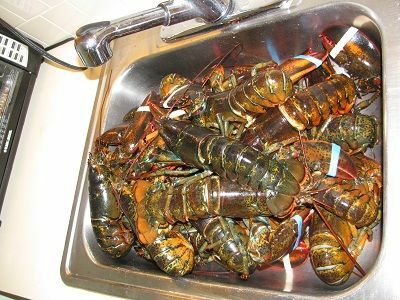 Lobsters are found throughout the year in New England but summer is the time when the prices are more inviting as they come closer to shore for the warm waters and are easier to catch. 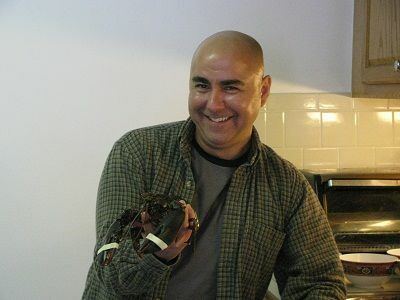 Towards the end of summer it a perfect time to host a lobster fest. 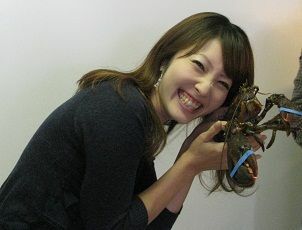 For the second year, Patricia and I invited students to our home to enjoy a lobster fest – well, a dinner more than a full-blown festival, really – and some fun time together. After posing for a picture with their favorite character, dinner started with some seafood bisque, followed by easy-peel shrimp and, finally, the main course, the lobster! To end the day on a high note, everybody got together for a game of Rock Band and American Idol on PS3. Some new talents were discovered but, most of all, it was fun for everyone!!!! Don’t cook him! He’s my friend! George Souza is our School Director at our Regis College Campus Center. He enjoys teaching, playing the guitar & singing, cooking and learning about different cultures through good conversations and food. He can be contacted at boston.director@talk.edu. Get ready for Summer and Family Vacations with TALK! Prepare your coats: TALK’s Winter activities in Boston that you can’t miss!